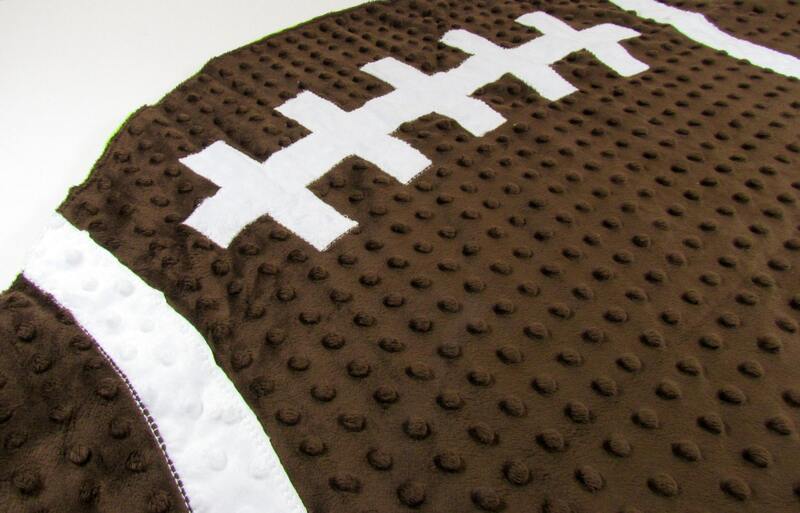 Let your little guy show his school's football spirit! 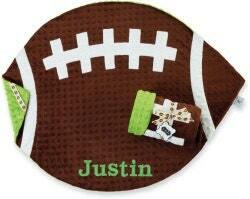 Football shaped blanket is made of soft minky material and has green backing. 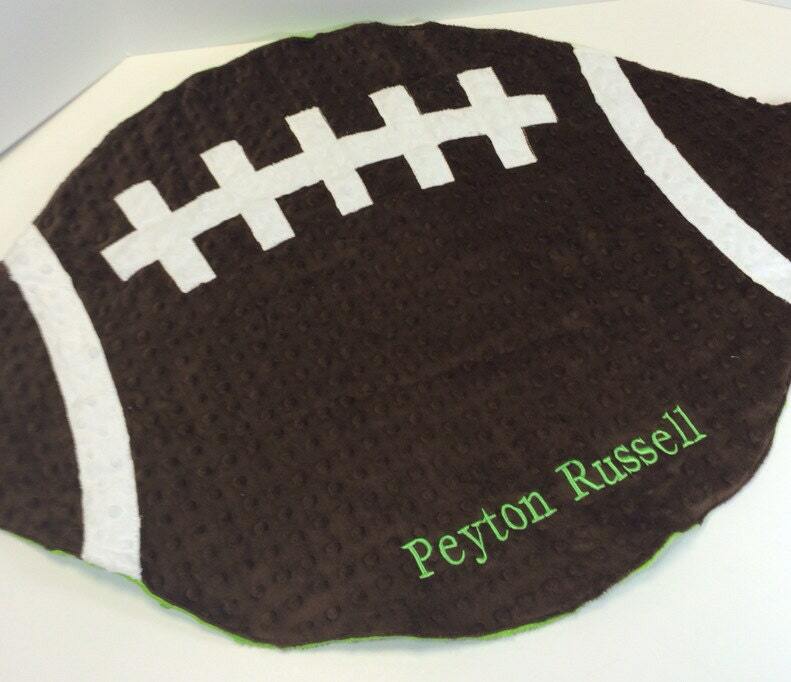 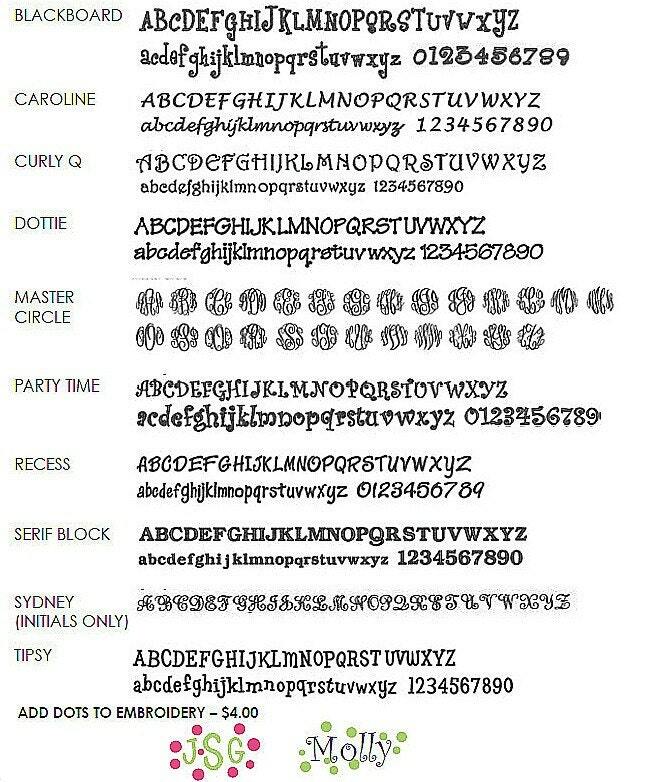 Personalization is included--set me know how you'd like it monogrammed!